Science is a particular kind of knowledge. It emerged as knowledge enterprise in certain former societies but not in many others. The purpose of this book is not to inquire into why of it. Nevertheless in order to answer why science arose in Islamic civilization the nature of science and scientific activity is examined. This examination yields the conclusion that science is an organized body of accumulated theoretical knowledge and discoveries, named through scientific consciousness which arises as a result of the process of investigating a well defined subject matter with a certain method. In this definition of science some new concepts are introduced such as scientific consciousness and scientific process. 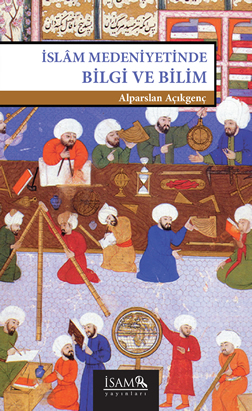 This book is thus an attempt to form a conception of science based on epistemology of science and as such it tries to show in the first place how a knowledge tradition emerged in early Islam. It is this tradition which was gradually transformed into a disciplinary study after classification of the wide range of available knowledge and named a particular "science" after each discipline was organized into a body of knowledge. This development is the result of a historical process, with definite stages and phases, which was named “scientific process”. As an essay both in history and philosophy of science, the book examines all aspects of this process in relation to Islamic civilization and occasionally compares it with similar developments in Greek and Western civilizations.